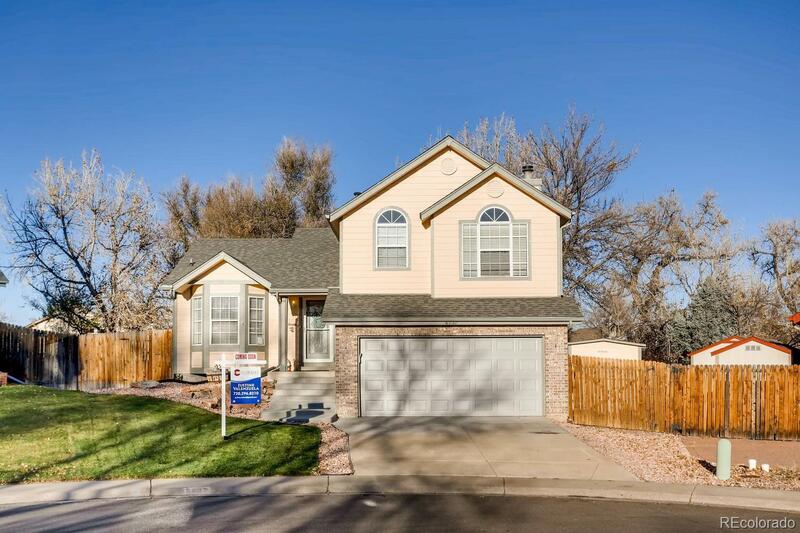 Pride and ownership shines bright in this Sanderson Creek neighborhood located in Lakewood. This turn key home boasts open living space and tons of natural light! location, location, location, close by Belmar, shopping, trails, schools and much more! Be sure to enjoy the tranquility the private backyard setting has to offer. Newer Roof, garage door, cement stairs, exterior paint, newer appliances, cul-de-sac, vaulted ceilings, and a wood burning fire place. Don't miss the opportunity to call this place home!